The demise of the North Korean dictator, Kim Jong-il and the appointment of his 28 year old son as successor inspires me to discuss the difference between these now-outdated politics of dynasty and the New Way Formula that was experienced in India. I have used this Formula – 9/6/3/0-1 – as an example of the new future that lies before the world, notwithstanding the fact that it too has sought to be used to further the politics of dynasty. But let us move a bit back in time to discover exactly when dynasties effectively came to an end as having any determining significance on the world stage. This was during the First World War at the close of the Age of Pisces and leading to the onset of the new Aquarian Age in 1926, our present astrological ruler. There have been monarchies that have survived into the Aquarian Age, but they are for the most part simply figureheads in support of parliamentary democracies, mostly in the Commonwealth nations where the British model was adopted: a central (dynastic or presidential) axis with a parliamentary system of democracy as a periphery held together by this axis. India was one such nation. On 15 August 1947, Sri Aurobindo’s birthday, the nation consolidated its independent status. Three years later in 1950 the Constitution was adopted that has been the foundation of the political structure of the nation since it became a Republic. The date of the Constitution is 26/11/1949. It was, in fact, the very date of Sri Aurobindo’s return in 1963. Thus, independence in 1947 occurred on his birthday; while the date of the Constitution is that of his return. The point made seems more than clear. Since then, and especially in an accelerated manner in the new millennium, 26/11 has acquired an iconic status equal to 9/11 in America, both events having occurred once we crossed the threshold to the new millennium. The attack in Mumbai on that date in 2008 set the tone for India. Since then other events have taken place on 26/11. The most recent one has resulted in a serious strain in USA/Pakistan relations when over two dozen Pakistan soldiers were killed in an attack by NATO troops. It may appear on the surface that 26/11 is somehow inauspicious since it has brought certain tragic consequences. Actually the presence of 26/11 simply reveals that the Fourth Power of the Formula (0-1) is active. The question to ask is, active in what way, to serve what purpose? In point of fact what stands out prominently is that in their own way each marked decisive turning points. And that is precisely the nature of 26/11 in the new cosmology. It may be seen as a reversal point. To provide a graphic image, we may place our number scale around a circle, as the diagram below indicates. At the top there is 0-9. 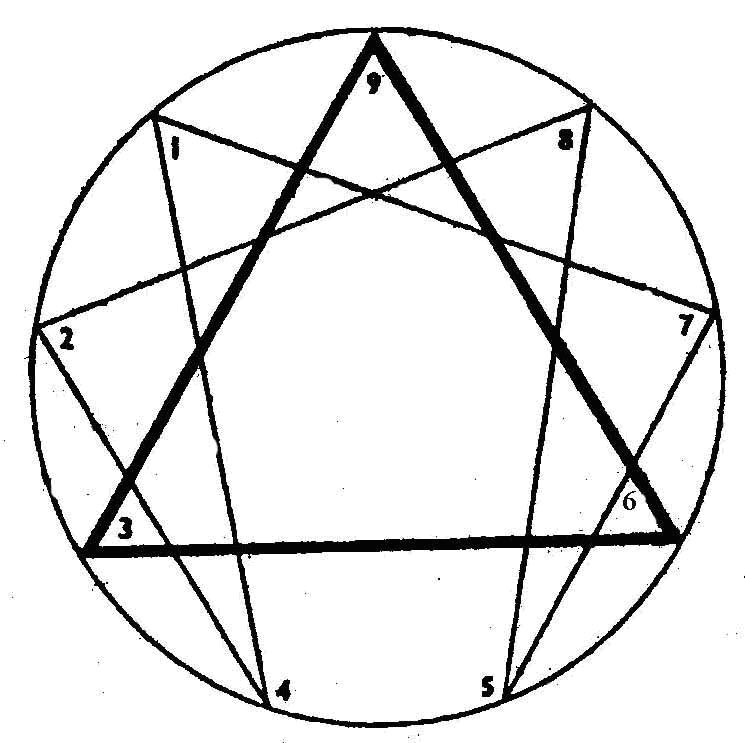 Moving down the sides of the circle through the numbers – i.e., 1-8, 2-7, 3-6, all equaling 9 – when we reach 4-5 the reversal takes place at the position in the circle which in the cosmology we allocate to the Fourth Power. In terms of our solar system of 0 (Sun) and 9 (planets), that position of extreme tension and reversal is the Asteroid Belt located between the orbits of the fourth planet, Mars, and the fifth, Jupiter. After reversal we move up the circle again with 5-4, 6-3, 7-2, 8-1 until we reach the 9 again. The shattered particles in the 4.5 Orbit of our System describe the nature of the Fourth Power and by consequence 26/11. For a time it may appear as a date best avoided, but that is only during this transition period when ‘shatterings’ of this nature are required in order to demolish structures that are obstructing progress. The Mumbai occurrence is a perfect example, a before-and-after, as it were. Likewise, the NATO bombing would appear to be a before-and-after as well. Returning to the question of dynastic politics, India’s history over the past century and a half reveals the existence of a new power guiding evolution on Earth; new only in the sense that its workings are ‘measurable’ now with the Formula 9/6/3/0-1 as a sort of numeric ruler based on the Vedic method of reducing numbers to a ‘seed digit’; in this case it is a reduction of the birthdates involved. The focus of this brief analysis is on politics – particularly dynasties in politics which seem to make no sense in democratic structures. They can continue to play a role but only in some form of dictatorial system. This may appear to be a contradiction in terms in the development of Indian democracy pre- and post-independence, centred around the Nehru-Gandhi family. However, each member of that family was elected to office democratically – even its most staunch critics must admit – not imposed dictatorially. The Nehru-Gandhi line, which in the new cosmology is called the Lunar Line, played a very different role. As I have described extensively in my major work, The New Way Volumes 1-3, it was to serve as an axis holding the nation together through the trials and tribulations it would pass through for a determined period, the time required for the polity to reach a certain maturity. The Congress single-party rule served as a stable point while the democratic process was becoming strengthened; after a specified period the polity then experienced a dramatic shift to coalition politics. Central to that ‘shift’ was the Fourth Power of the equation. It was indicated by the Formula itself, which because of its connection to the official calendar adopted by India at Independence, revealed a calendric application of ‘seed digits’, just when single party rule would cross over to coalition politics. This maturing of the polity could only be allowed once the axis 9/6/3/0-1 was firmly in place. In other words, it is Mahakala who controlled, and continues to control, the rise of a new India. Dynastic politics played no role whatsoever in the development – only cosmology. We have no name for a system wherein the Time-Spirit is seen to be overtly in control of the democratic process; failing which we call the phenomenon dynastic politics; whereas it is simply a new way, a measurable mechanism which the official calendar itself validates. The progression up to the entry of the Fourth Power of the equation (0-1) is vertical, as in the descending line in the figure, . Upon entry of the 4th, a shift takes place from vertical to horizontal the base line of the former illustration. At that point the ‘multiple’ takes over and in terms of politics it is when coalitions come to the fore. The date when this shift was made operational was at the demise of Indira Gandhi and the entry of the fourth in the Lunar Line, Rajiv Gandhi. But at his demise, the last member of the Line, the question of any further succession does not arise. Thereafter any rise to power is based on the political prowess of all the participants in the political arena, the Gandhi family included. The heirs of any of the numerous ‘dynasties’ in Indian politics may rise to occupy prominent positions in whichever party they may be a part of, but to be borne in mind is that their rise is on their own steam as it were. Contrast this with the vertical which was imposed by Mahakala ‘from above’ though through the same legitimate democratic process. In other words, there is now a level (horizontal) playing field which in itself indicates the level of maturity the system enjoys. Mahakala’s role was of vital importance in the beginning of the Aquarian Age. It was a time of great ‘churning’ when emerging powers were seeking to establish the new world in their image – the Nazi regime in Germany, for example, that sought to pervert the role India was destined to play by blatantly usurping certain Vedic geometric symbols. 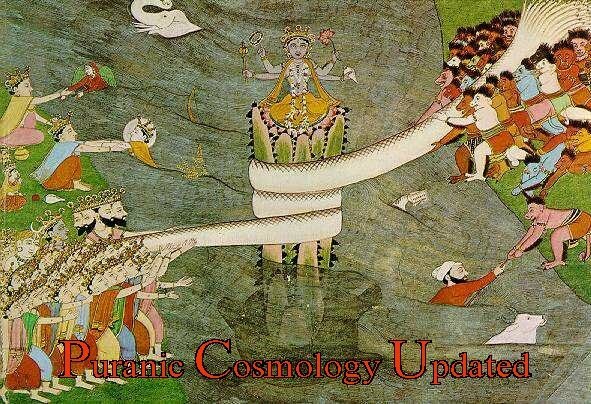 India, as the cosmologically destined centre of the New Age had to be protected from the fury of that Churning. But that the geometry usurped was Vedic indicates that India was the target. 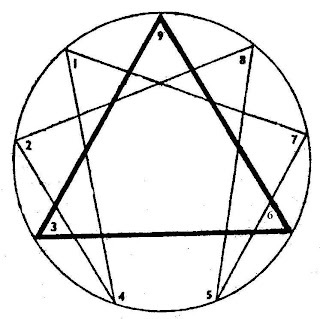 This was the task set before Mahakala and facilitated by individuals who took birth in accordance with the Formula in a direct biological line, replacing royal dynasties of the past with a new model that utilises the power of the Time-Spirit in such a way that the line between physical and subtle worlds is erased¬¬¬. All these births, a total of 12 in all, including the Solar Line together with the Lunar, were arranged ‘on the other side’ so to speak. This is how ‘heaven’ is drawn down to Earth. We may protest, we may howl and scream at the arrangement we have been saddled with, but we cannot deny its existence: 9/6/3/0-1 is the sacred formula that set on its way the new India for its own protection. Indeed, the system is based on the number 9 which is the number-power of the Divine Mother, whose protection as Durga is undeniable. She is also known as Bharat Mata. The point is not to rebel against this arrangement but to understand what it has meant for the nation – and then TO MOVE ON, to move along with the Time-Spirit whose guidance carries us to discover the marvels that lie ahead. The Lunar Line of the Nehru-Gandhis had a role to play, guided by Mahakala. Now that the democratic system is secure refinements must take place, a ‘tweaking’ as it were. We are witness to just such a case in the current desire to eliminate corruption. But we may legitimately ask: If Mahakala is so much in control, whose power is undeniably helping the nation reach its pinnacle of destiny, how is it that we are saddled with this apparently incurable disease? It would seem to be a contradiction in terms. However, how this shadow of corruption came about is easily understood through the same Formula. The new India arose on the number-power 3 (1947=3) of the Formula. The underlying goal of its application is ultimately to reach a point of integration of all its powers in order to give birth to the Soul which alone can carry the nation forward into the new future that stands not only before India but before the entire world. The principal qualities of the 3 in the equation are freedom and unity both individually and collectively. Since the 3 is the soul in evolution we learn through this that these are longings proper to the soul. Therefore they are as eternal as the soul is eternal. They drive the human being to seek their fulfilment. In times like ours when the Aquarian Wave is arousing the soul-power in people, the call of the hour is freedom as witnessed across the globe. And though it may not appear to be so on the surface, the unity conjoined to freedom can only come about when the Wave sweeps away the old and the collective arousal of soul-power imposes a forward-moving, relentless drive to install new systems in every sphere of life that can satisfy the longing for these attributes of the 3 to manifest. Corruption as experienced in India is simply the unbridled licence that has been unleashed by the shadow of the 3, the Soul. It is again a usurpation of power. And that ‘shadow’ is commonly known as the Ego. It exists for itself, by itself, of itself, and thus corruption is the result which is simply an extreme form of egoism. It is not as the 26/11 Constitution stipulates: a system of the people, for the people, by the people. In the present situation unity cannot manifest because of the Shadow’s policy of divide-and-rule. Indeed, as suppressors of freedom the Raj left systems in place that would further divide-and-rule. Maturity is recognised to have occurred when in full awareness those out-dated structures are dismantled. The struggle to introduce an efficient law to deal with that corruption of the soul-power in order to eliminate corruption is a collective attempt to be rid of the Shadow (of the past). The soul integrates, the ego divides. That is its function as a protective device until a certain maturity is reached. Applied to the political system, the very fact that this Aquarian Wave is sweeping across the nation at this time indicates that maturity has been reached and a certain cleansing process can now begin without damaging the basic fundaments that the Constitution stipulates. The current response – soul to soul – that has been awakened in the population is the best proof of the existence of the Aquarian Wave that is moving across the globe, affecting nations according to their needs of the moment. In India the time has come to tweak the system and eliminate its worst disease, because maturity has been reached that can withstand the pressure when seeking to do so. It is a strengthening mechanism and in no way destructive of the system Mahakala has firmly set in place in a carefully monitored and guided process, unique in the world. The most fascinating aspect of the Aquarian Wave as experienced in India today is that the people will force a system to be set in place of laws that can allow the nation to fulfil that singular destiny. If politics is perceived by the populace as the breeding ground of corruption, then the uniqueness of this movement is that it is forcing the political class to legislate against itself. That requires undeniable maturity.